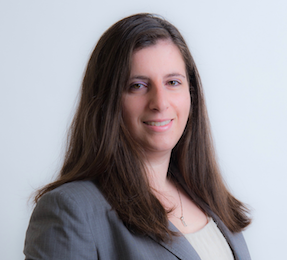 Petkov Law was founded by Erica Petkov, a trial attorney who has extensive experience in many areas, including employment law, personal injury, family law, and general civil litigation. Erica has successfully represented hundreds of immigrant workers in claims for misclassification, wage theft, unpaid overtime, retaliation, discrimination, workplace injuries, and harassment. She has also obtained large sums of money for clients in contract and business disputes, slip and falls, dog bites, bodily injury claims, and many other aspects and areas of litigation. Attorney Petkov has appeared before district courts, superior courts, federal courts, and state agencies throughout the Commonwealth of Massachusetts. She is dedicated to finding creative and cost-effective solutions for all of her clients’ legal needs. Thank you for contacting us!We will be in touch within 24 hours. Please enter your contact information, and a short message regarding your legal question/matter. You will receive an email or a phone call within 24 hours. The information in this blog is provided for general informational purposes only, and may not reflect the current law in your jurisdiction. No information contained in this blog should be construed as legal advice from Petkov Law, LLC or the individual author, nor is it intended to be a substitute for legal counsel on any subject matter. No reader of this post should act or refrain from acting on the basis of any information included in, or accessible through, this blog without seeking the appropriate legal or other professional advice on the particular facts and circumstances at issue from a lawyer licensed in the recipient’s state, country or other appropriate licensing jurisdiction. Nothing in this blog shall be construed to create an attorney-client relationship between the reader and Petkov Law, LLC. © 2016-2019 Petkov Law, LLC. All Rights Reserved.